BravoBug Software has released BravoTunes, a free iTunes add-on that displays scrolling track information in the OS X menu bar. 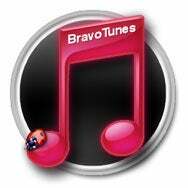 BravoTunes displays the title, artist, and album for the current and next iTunes track. It can also show elapsed time in a visual pie chart or bar style, and you can customize the menu item by choosing the font, color, and style. You also can use BravoTunes to control iTunes, switching tracks and changing shuffle and repeat settings. Realmac Software announced on Monday the release of LittleSnapper 1.0.4. The update to the screenshot and design utility fixes an issue some users were experiencing related to migrating their snapshot library to the new format. The update is freely available from the company’s Web site or through the program’s auto-update feature and is recommended for all users. SecureMac has released MacScan 2.6.1, an update to its anti-spyware software for Mac OS X. The newest version of the software adds countermeasures to the latest threats to OS X along with usability enhancements and bug fixes. 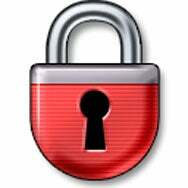 SecureMac says it has improved the user interface as well.